History was made 70 years ago when the film ‘Kadawunu Poronduwa’ (Broken Promise) premiered at the Kingsley Theatre in Colombo on 21 January 1947. The Chief Guest was D.S. Senanayake, Minister of Agriculture and Lands under the State Council system of governance during the penultimate stages of British rule. Senanayake went on to become the first Prime Minister of independent Ceylon as Sri Lanka was known then, within a year of this premiere. The presence of Senanayake, who was also then the leader of the House, at the first screening of a film denoted the importance of the event. ‘Kadawunu Poronduwa’ was no ordinary film. It was the first-ever Sinhala “talkie” meaning a film where the characters on screen spoke and sang in the Sinhala language. Until then films shown in the island were in languages like English, Hindi, Urdu, Tamil or Telugu but not in Sinhala. Thus the screening of ‘Broken Promise’ was indeed of historic importance and was duly acknowledged so by the country’s most senior Minister and future Prime Minister being present as Chief Guest at the first screening. The film was produced by Sundaram Madhuranayagam generally known as S.M. Nayagam on behalf of Chitrakala Movietone Ltd. S.M. Nayagam, who originally hailed from Madurai District – in what was known as the Madras presidency during British rule – was an industrialist manufacturing soaps and perfumes. He had factories in India and Sri Lanka. Nayagam set up a company to produce films and also established a film studio for that purpose. The production company named Sri Murugan Navakala Ltd. had an office in Madurai town. The studio named Chitrakala Movietone was located at Thrupparankundram, about six miles away from Madurai. Incidently Thirupparankundram is famous for a Murugan temple. It is regarded as one of the ‘Arupadai Veedugal’ or six abodes of Lord Muruga. Nayagam’s studio was about one mile away from the temple. ‘Kadawunu Poronduwa’ was filmed entirely at the Chitrakala Movietone studio in Thirupparankundram- Madurai. Sinhala filmgoers of the Island did receive the first Sinhala talkie enthusiastically. Only five prints of the film were made for screening initially. The first print was used for the premiere at Kingsley Theatre on 21 January 1947. Thereafter it continued to be screened at the rate of four shows daily in the Kingsley Theatre for 127 days at a stretch. The second print was screened on 22 January 1947 at the Gintupitiya Talkies in Colombo. This theatre was later re-named as Murugan Talkies. ‘Broken Promise’ ran for 42 days at this theatre in Colombo. The third print was screened on 23 January 1947 at the Mylan Theatre in Colombo. The film ran for 28 days at the Mylan. In addition to these three theatres, the film was also shown once daily at 10 a.m. at the New Olympia Theatre in Maradana. The same print shown at Mylan was screened in the mornings at the New Olympia. Thus ‘Kadawunu Poronduwa’ had a remarkable run in the capital city being shown simultaneously in four theatres in Colombo. The fourth and fifth prints of the film were screened on 24 January 1947 at the Panadura Talkies Theatre and Chandra Talkies in Avissawela. ‘Kadawunu Poronduwa’ ran for 28 days at a stretch in Panadura and 35 days in Avissawela. 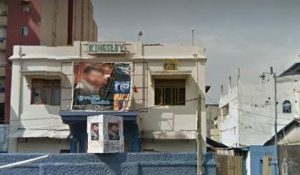 After the screenings in these theatres ended, the film was shown in other suburban and outstation theatres like Quinlon – Nugegoda, Kelani Talkies – Kelaniya, Nadarajah – Negombo, Chandra – Moratuwa, Bharatha Talkies – Ratnapura, Imperial Talkies – Kurunegala, Modern –Badulla and Nadarajah – Trincomalee. ‘Broken Promise’ ran for several weeks at these theatres. Thereafter the film was shown in other theatres in various parts of the island. Record crowds were present for many, many weeks. In Kandy a makeshift “tent” theatre was set up at the Bogambara grounds. Called ‘Bogambara Theatre,’ it was constructed with the sole purpose of exhibiting ‘Kadawunu Poronduwa’. According to newspaper reports of the day, huge queues had formed at 6 a.m. itself for the first show scheduled at 10 a.m. Many tough guys in Kandy town had a field day by elbowing out patrons and buying up tickets in bulk and re-selling them at ‘black market’ prices. People from various parts of Kandy and Matale District hired buses and vans to visit Kandy town in groups and see ‘Kadawunu Poronduwa’. Seeing the film became a community-oriented family event. The film was also a smashing success at the box-office. The remarkable thing about the widespread popularity of the film was that it had succeeded with the masses despite a strongly critical Sinhala press. Most reviews of the film were negatively written in Sinhala newspapers and journals. It was criticised as being overtly “Indian” in content and form and not authentically “Sinhala”. The well-known Sinhala film critic Jayawilal Wilegoda in reviewing the film had a pithy comment. He said that South Indian Cinema which speaks in 12 languages has added one more language – Sinhala – to their list. What Wilegoda implied of course was that ‘Kadawunu Poronduwa’ though a Sinhala film was in reality another Indian film. Despite this negativity on the part of the Sinhala intelligentsia, the ordinary people were thrilled at the prospect of seeing a film on screen where the characters spoke dialogues and sang songs in Sinhala. In their own simple way the people grasped the significance of the first Sinhala talkie and responded positively. ‘Kadawunu Poronduwa’ being the first Sinhala talkie had struck a responsive chord and touched their hearts! In that sense a Tamil film producer had created history by making the first Sinhala talkie. The circumstances that led to an Indian Tamil entrepreneur producing the first Sinhala feature film is by itself an interesting saga worthy of recounting in depth. It would shed much light on the multi-ethnic contribution to Sinhala cinema. Besides, delving into the background and history of ‘Kadawunu Poronduwa’ would also reveal illuminating details of the various attempts by different persons to make films in Sinhala over the years. Ceylon or Sri Lanka though tiny when compared to its giant neighbour India was evolving into a lucrative market for screening films. During the silent films era an Englishman A.W. Andrew began importing and screening US, British and other European films in Sri Lanka. His son Laurence Andrew followed in his father’s footsteps and set up a company named Warwick Bioscope Ltd. (bioscope was the name of projectors used to screen films in that era. The term bioscope was commonly used to describe all films then). Later on the Warwick Bioscope company obtained a license to import and screen Indian silent films also in the Island. Soon this European monopoly was challenged by entrepreneurs from the Indian sub-continent. J.F.A. Madan hailing from the dynamic Parsee community in Bombay (now Mumbai) had started the Elphinstone Bioscope Company in Calcutta (now Kolkata) and begun screening and also producing films in India. 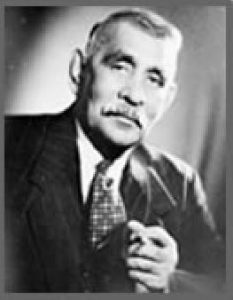 His son J.J. Madan expanded further by exhibiting films in the Malayan states including Singapore, Burma and also Sri Lanka. A network of theatres more commonly called cinema halls were set up under the aegis of Madan Theatres Ltd. 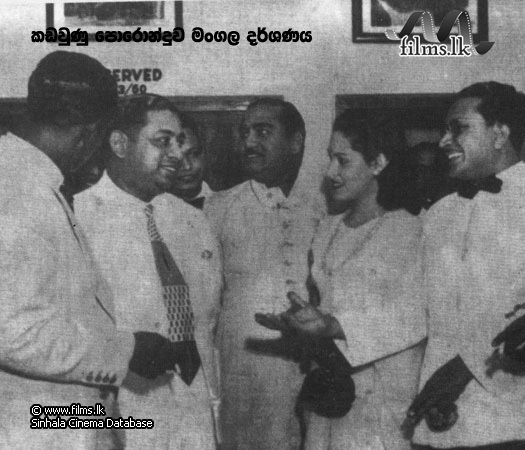 In Sri Lanka Madan theatres teamed up with G.D. Hendrick Seneviratne, the legendary founder of Tower Hall. In 1932 Tower Hall was converted into a movie theatre. Another Indian from Gujarat, T.A.J. Noorbhai, also entered the field of screening films by forming the Eastern Film Company in 1924. He was followed by a Jaffna Tamil businessman Sir Chittampalam Abraham Gardiner who established Ceylon Theatres Ltd. in 1928. Apart from these major exhibitors, there were a number of minor film exhibitors with smaller film companies. The market for screening films in Sri Lanka began to develop rapidly in the twenties, thirties and forties of the 20th century. Though the films were in non-Sinhala languages, a very large number of Sinhalese, particularly in urban and semi-urban areas, began flocking to cinema halls to see films. Tamil and Hindi films were increasingly relished by Sinhala audiences. This phenomenon gave rise to the opinion that the time was ripe for producing and screening original Sinhala films without having to depend on Western or India made films. Though S.M. Nayagam is acknowledged as the producer of the first Sinhala talkie, he was not the pioneer in producing the first-ever Sinhala film. The credit for that goes to Noorbhai of Eastern Film Company. It was however a silent film without a sound track. The film was a costume drama ‘Rajakeeya Wickramaya’ titled ‘A Royal Adventure’ in English. The dashing young man who played the lead role was a 20-year-old student named Nanayakkarapathirage Martin Perera who was to serve as Finance Minister in later years. N.M. Perera was then a student reading for his London BA degree at the University College in Colombo. He later went to the UK and obtained a double doctorate, entered politics and became as Dr. N. M. Perera, the Leader of the Trotskyite Lanka Sama Samaja Party (LSSP). NM’s leading lady in this Royal adventure film was a Eurasian beauty named Sybil Feeme. Others acting in the film were N.P.D. Albert Silva, Reginald Perera, Percy Perera, Gratien Perera, Eric Weerasekara, David Manuel and N.R. Dias. The Director was a Bengali named Hari Dasgupta. ‘Rajakeeya Wickramaya’ was filmed in Bombay in 1925. It was first screened in Singapore. Apparently only one print was made. Thereafter it was brought to Bombay for making more copies to be screened in Lanka. There was a ‘mysterious” accident at the studio laboratory and the whole film was destroyed. The film never saw the light of day in Sri Lanka. The well-known British documentary film maker and historian Basil Wright was commissioned by the Tea Propaganda Board to make a film about the island known as Ceylon then. Wright made a 38-minute film titled ‘Song of Ceylon’ in 1934. The documentary narrator was Lionel Wendt. The documentary was screened extensively in Sri Lanka in 1935 and referred to in Sinhala as ‘Lanka Geethaya’. ‘Song of Ceylon’ inspired a music teacher, W. Don Edward, to make a somewhat educational film. Don Edward produced and directed a silent film named ‘Paliganeema’ or ‘Revenge’. The 25-minute-long film was based on a historical anecdote. It was first screened on 19 May 1936 at the Capitol Theatre in Colombo. The screening was a disaster and the film was stopped after two days. However it was later screened in theatres as a supplementary movie to the main film being shown. Among those playing prominent parts in ‘Paliganeema’ were N.R. Dias, Gunapala and Sriya Kantha. The proprietor of Capitol Theatre in those days was a Muslim businessman named F.D. Mohammed Farook. He formed the Bombay Pioneer Films Company in 1938 and attempted to make a Sinhala film the following year. Farook had reportedly obtained a film script titled ‘Shantha’ and wanted to take a troupe of Sinhala stage actors to Bombay to shoot the film. His plans had to be aborted after World War II broke out on 3 September 1939. 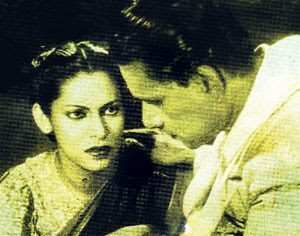 The war years saw a lull in attempts to produce Sinhala films but films from India screened in Lanka ran successfully for lengthy periods minting money for the exhibitors. This further impelled the desire to produce a Sinhala film and potentially make more money. 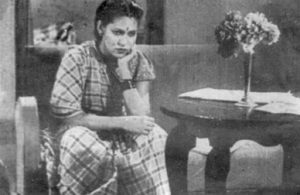 The rationale was that if films made in languages other than Sinhala could be lapped up by Sinhala audiences, then how much more would be the reception for talkies made in the Sinhala language. So when the war ended in 1945 and conditions for film making became more conducive, there was a spurt of activity in the direction of producing Sinhala “talkie” films. Two such persons who in 1945 embarked eagerly on projects to make Sinhala talkies were an Indian Muslim and a Jaffna Tamil based in Colombo. M.S.M. Zacky was the advertising manager of the Imperial Mobile Cinema Company. Zacky himself wrote the story and screenplay for a film titled ‘Premawathi’. He had dialogues written by Sinhala playwrights for it. Armed with a written script Zacky went to Madras (now Chennai) and made efforts to film ‘Premawathi’ with Indian actors. However Zacky was duped by some personnel he enlisted to make the movie. He was ejected from the project and others tried to film ‘Premawathi’ on their own. Zacky returned to Colombo a dejected man. The attempt to film ‘Premawathi’ by others too fizzled out. ‘Premawathi’ suffered an early death. The Jaffna Tamil who tried to shoot a Sinhala film in 1946 was S. Thuraisingham who had earlier been the Distribution Manager at Ceylon Theatres owned by Sir Chittampalam Gardiner. Thuraisingham, a film buff, had been fascinated by the Persian film ‘Layla and Majnu’ made in 1937 by the great Iranian Film Director Abdolhossein Sepanta. This film was about the famous star crossed lovers Laila and Majnu in Sufi Islam literature. Thuraisingham adapted the story into Sinhala and formed the ‘Lanka Mohini Films’ in 1945 to produce the tale of Layla-Majnu. Thuraisingham went to Madras with the script to make the film. It was named ‘Divya Premaya’ or ‘Divine Love’. Accompanying Thuraisingham was the great thespian E.C.B. Wijeysinghe of ‘Ralahamy’ and ‘He Comes from Jaffna’ fame. Other actors in the film were the Tower Hall artistes C. Weerasekara, C. Wijenayake, Simeon de Silva, O. Rodrigo, T. Senanayake, Leela Gunasekera and Wimala Kantha. Filming started in Madras and there was much publicity in film journals about the first Sinhala talkie ‘Divya Premaya’ being produced. Unfortunately for Thuraisingham, the company ran out of funds as persons who promised cash infusions did not do so. Complicating matters further was E.C.B. Wijesinghe falling sick and returning to Sri Lanka. The film was aborted. Had it succeeded as planned ‘Divya Premaya’ and S. Thuraisingham would have made history as the first Sinhala talkie and its producer respectively. It was destined perhaps that the honour should go to ‘Kadawunu Poronduwa’ and S.M. Nayagam. However Thuraisingham did manage to produce ‘Divya Premaya’ a few years later. He formed a new production company, Shanmugam Films, in partnership with businessmen P. Ramalingam and M. Muttiah and made the film. N.P. Javeri directed the movie while H.R. 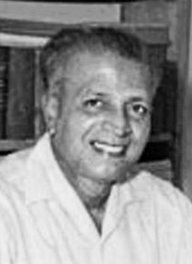 Padmanabha Shastri composed the music. Actors such as Luxman Rajapaksa, Srimathi Karunadevi, Robert Perera, Simon Silva and Peter Siriwardena starred in the movie. 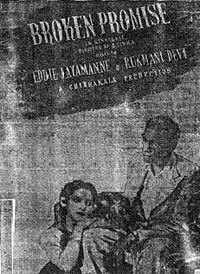 ‘Divya Premaya’ premiered on 22 May 1948 at the Gintupitiya ‘Murugan’ Talkies in Colombo. The film that could have been the first Sinhala talkie became the fourth Sinhala talkie. Interestingly enough ‘Divya Premaya’ was release one year before the Telugu-Tamil film ‘Layla-Majnu’ starring A. Nageswara Rao and P. Bhanumathy was made in 1949. This film was later dubbed into Sinhala as ‘Manaprayathanaya’. As stated earlier S.M. Nayagam constructed his studio Chitrakala Movietone at Thirupparankundram near Madurai town. Initially he produced Tamil films there and also rented out floors for filming other films. Among the films he produced was a mythological movie ‘Kumaraguru’ released on 6 September 1946. The film was directed by Jyothish Sinha from Calcutta. Later when Nayagam produced ‘Broken Promise,’ he had the same Bengali filmmaker Jyothish Sinha direct it. Among the artistes acting in Kumaraguru were Krishna Iyer, Vidwan Mani, Thanjavoor Mani, Jayabala and Radha. Another Tamil film shot at the Chitrakala studio was ‘Thaai Naadu’ starring the swashbuckling action hero ‘Battling Mani’. The film was directed by T.S. Mani while R. Narayana Iyer composed the music. It was the same Narayana Iyer who composed music for ‘Kadawunu Poronduwa’; also ‘Thaai Naadu’ meaning ‘Motherland’ which was released on 15 August 1947, India’s day of Independence from the British. The film was a smashing box office hit. ‘Vichitra Vanitha,’ a comedy made by K. Subramaniam, the father of illustrious dancer Padma Subramaniyam, was also filmed partly at Nayagam’s studio. Nayagam, tasting success as a producer of Tamil films in India, now began thinking of producing a Sinhala film. The unsuccessful attempts of M.S.M. Zacky and S. Thuraisingham to produce a Sinhala film in India accelerated this desire. After all Nayagam had his own studio in Madurai which gave him an advantage over others who wanted to shoot a Sinhala film in an Indian studio. Initially Nayagam wanted to produce a historical film in Sinhala. He first wanted to make a film on Kannusamy Nayakkar who took on the name Sri Wickrama Rajasinghe and reigned as the last king of Kandy from 1798 to 1815. Nayagam procured a script written on the subject by D. V. Seneviratne and undertook a feasibility study. He found that the budget would be rather high to make an elaborate costume drama or period movie about Kandy’s last king. Being a shrewd businessman Nayagam was not sure whether the unexplored ‘virgin’ Sinhala film market territory could yield sufficient profits to cover the cost of production. Nayagam then went into discussions with Sinhala dramatist Sirisena Wimalaweera. Nayagam and Wimalaweera decided to do a film on the historic character Utuwankanda Sura Saradiel (1832 -64), the legendary bandit known as the ‘Robin Hood’ of Sri Lanka. Wimalaweera wrote a screenplay about Saradiel but also wanted to direct the film. Nayagam refused saying he wanted the film to be directed by an Indian director. The brief partnership ended but Wimalaweera did not abandon Saradiel. Wimalaweera, who later set up the Nawajeewana Studio in Kiribathgoda, produced and directed the film ‘Saradiel’ in 1954. The film ‘Saradiel’ for which Hugo Fernando composed music was released under Wimalweera’s Nawajeewana films banner. With these attempts to film a history based talkie in Sinhala ending in failure, S.M. Nayagam hit upon a novel idea. He announced a competition for film scripts to make a film in Sinhala. There was a huge response. The winner was Shanthi Kumar Seneviratne who wrote a screenplay about the romance between Prince Saliya and commoner Asokamala. The film was to be named ‘Asokamala’. Again there was a clash of wills. Shanthi Kumar wanted to direct the film himself but Nayagam was unwilling. So the move by Nayagam to film ‘Asokamala’ ended in failure. Nayagam however persisted with his efforts to produce a Sinhala film. He now had a different idea. Many Tamil dramas and folk plays had been turned into films in India. Nayagam too thought of selecting a popular Sinhala drama and making a film out of it. One of the most popular Sinhala dramas at the time was staged by the Negombo Minerva theatre group run by the Jayamanne brothers. The popular play had been staged over 800 times in various parts of the island. The name of the play was ‘Kadawunu Poronduwa’ or ‘Broken Promise’.